The morning of martial arts Testing Day and our home is buzzing with nervous energy. As all four of our family members practice Kuk Sool Won nobody is spared the anxiety of the testing process. Thankfully now that the kids are older the day has a slightly later start as the first testing session begins at 2:00pm for my daughter. In previous years she needed to be at the dojang by 9am with the other color belts. Our son is now old enough to join us at adult testing time but all of us have similar anxieties – how many boards will we break, can we break enough to pass the test? How tough will the body conditioning be? Will we get through our forms well enough? My husband and I spend some time reviewing techniques and the kids help each other out with forms practice. We are all aware that Testing is a continuous process and that improvement only comes from persistent practice. However the need to reassure ourselves before Testing Day is still a driving factor. When I put in my best effort I know the day is going to be exhausting but also that there are always lessons to learn. I’m under pressure and my skills are in the spotlight. Glancing around it’s easy to see the competence of others. I’m aware of my limitations and although I know it’s a personal journey I can’t help benchmarking myself against the performance of others. I realize though that it’s only constructive if it motivates me to work harder. I’ve come to realize that the mental pressures of Testing Day are just as important as the physical demands. The learnings in class are reinforced while making me aware that there is still so much to learn. It’s humbling and not always a comfortable space but we grow from it. Sometimes to move forward we need a reality check. A point to assess the status quo and set new training goals. We may not ever reach a state of perfection but in striving for it we can bring out our best selves. Keep striving! You never know what you are capable of till you try! It’s amazing that it’s already been 20 years since the publication of the first Harry Potter story by J.K. Rowling. An incredulous adventure filled with magic and awesome accomplishments in the face of incredible odds – which if course reminds me of the martial arts journey. Martial arts is the key to the magic of the body in motion. It unlocks so many avenues of development – mentally, physically and spiritually. Anyone who has practiced their art in the great outdoors knows the feeling of connecting the energy within with that of the environment. It is a timeless, spiritual experience which opens the mind to calmness and control. The basis of Kuk Sool is the development of “Ki” (Internal Power) and therefore Kuk Sool is considered an internal martial arts system. Meditation forms part of the curriculum and it’s wonderful to observe the effect of controlled breathing and mindlfulness even in the youngest students. 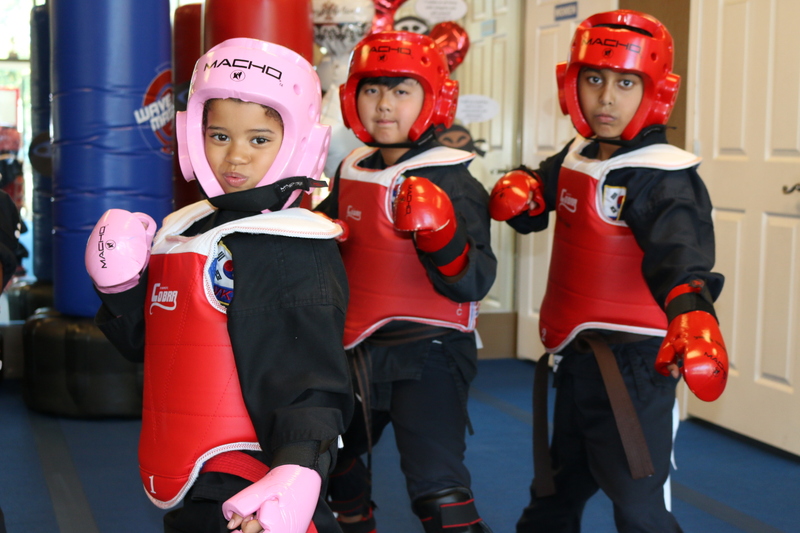 Often it is thought that the martial arts journey is reserved for the young and agile and there are certainly distinct advantages to starting early. Maturity however is not an excluding factor – your body is still in motion and there is still magic within. When I look back over the last few years I’m amazed at the things I’m doing now that I never thought I’d be capable of. We all have stories that we tell ourselves about what we can or cannot do and it takes courage to move beyond the boundaries that we set in place. I recall the nervousness at my first “falling” session where just rolling over backwards induced incredible fear – now it’s the quality of my back falls that I need to work on. If you are seeking some positive martial arts encouragement try the blog by Andrea Harkins “Change your Life in One Day”. Harry Potter was the “boy who lived” and was one of a kind. At our martial arts school we are continuously encouraged by our Chief Instructor Master Saidi to do our best and push ourselves. I am not however the only mature student at his school – there are several adults at our dojang who challenge themselves and persist in their training – to be better than they were the day before. It’s never too late to make a difference or take a leap – you have the magic to make it happen. You are not rich until you have something that money can’t buy. A new year brings new training schedules. It’s a year ago that I began my Kuk Sool Won journey and it has been a real roller coaster ride of successes and growth opportunities. Being a martial arts newbie at middle age takes determination and can only be accomplished if you learn to take yourself a little less seriously. It has also been a year ago that I started this blog, along with a lovely and remarkable community of individuals because of the Seth Godin Your Turn Challenge. I am a goal and result oriented individual while also being a time dependent personality so setting goals and making lists is an automatic practice at the start of a new year. What is unique about 2016 though is that I did a training schedule first before writing down my goals in other key areas of my life. Given my usual approach I would add exercise and view it like a mountain that needs conquering. A necessary set of tasks on the way to taking better care of my health. Now however I see a training schedule as so much more than a series of tasks. In the past I didn’t relish the idea of training. It just provided the means by which I could build a healthier me. Now training is like a chapter in a novel. Each one enhances the experience and within each one new lessons are learned. Taken together they all tell a story and become a collection of learnings building towards a specific end objective, in my case, a black belt before my 50th birthday. 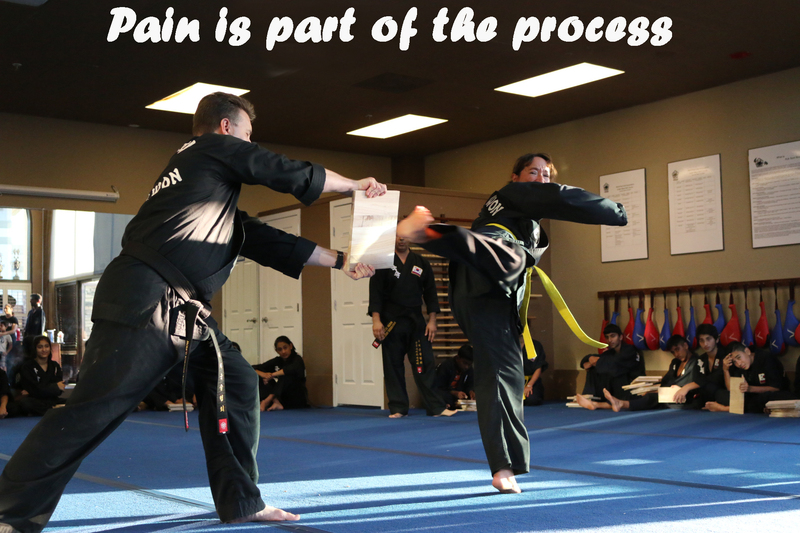 After all, a black belt is a white belt who didn’t quit and I plan to see this journey through. If you do what you love you never have to work a day in your life. If you train for something you’re passionate about then training is no longer a task. Every bit of training I do is leading me to a new point of growth. It is said that an old dog can’t be taught new tricks but if the old dog is still young at heart it can still learn an amazing array of things. It’s just the willingness to do so that is required. I am taking my body to levels of fitness that I never thought possible and it is changing my expectations with each new milestone I reach. I expected that my age would be an automatic glass ceiling on my martial arts journey but the only limitations I’ve experienced are those I’ve imposed on myself. Giving 100%, make the time and make it count! It’s the reason I make lists. I always have one running. Usually it’s on auto shuffle. Parenthood means that new items get added constantly. Life happens. Finding the spaces to fill that are not already crammed with the necessities and mundanities of living is not a simple process. It requires a firm decision. A decision to choose differently. To prioritize according to the goals you wish to achieve. Sometimes when I become too focused on one particular goal, others can take a bit of a back seat. I was reminded of that in martial arts class this week. Our instructor, Master Saidi, asked us to review our techniques. My anxiety levels immediately peaked because I knew that I haven’t been giving them much attention. In fact in general my focus on training had waned. I’d had a bout of the seasonal cold and missed a couple of classes. My focus had been more on intellectually pursuing the art and unpacking its stories rather than on the actual practice. Its easy to get distracted as a writer and story gatherer. The outcome of this loss of focus was rather telling. I had learned about the history and personal journeys of those who practiced the art but I had been neglecting my training. “That’s an interesting technique” Master Saidi declared as I ineffectively tried to recall Sohn Mohk Soo no 3, “perhaps we can add it to our curriculum” he joked. Chagrin ensued, not a comfortable space but one from where meaningful lessons can be learned if I choose to put my ego aside. I needed to remember why I was here in this dojang. I had lost sight of my green destiny and my intention and mission was resurfacing in full dramatic style. You must practice these techniques every day we were told. The Kuk Sool curriculum is vast, if you are struggling at this point the only way to improve is through more practice. A vivid reminder. There is no room for excuses. I want my techniques to be good. I want them to be effective. To get there I needed focused attention and more training. You get what you train for. Mediocrity is not an option. I cannot give 100% of my attention to all my goals all the time. It’s simply not humanly possible. What I can do though is prioritize and give each step 100% in the time allotted to them. Make the time and make it count.